“Are you kids high?” AMC has just released a new preview for season two of Preacher. 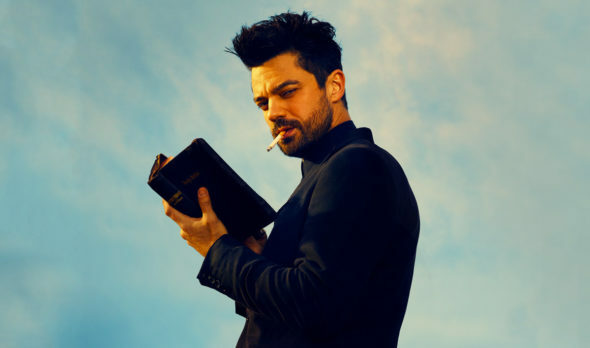 Based on the comic book series by Garth Ennis and Steve Dillon, the comedic drama follows a West Texas preacher, Jesse Custer (Dominic Cooper), who is inhabited by a mysterious entity that causes him to develop a highly unusual power. The cast also includes Ruth Negga and Joseph Gilgun. Season two of Preacher is set to debut on AMC on June 25th. What do you think? Are you a fan of Preacher? Are you excited for season two? I absolutely love this show. I knew nothing about the graphic stories of which it’s based and that’s pretty good because I had no expectations other than quirkiness. And it delivers beautifully. Perfect casting​, writing and acting. I love this show. The actors portray their characters perfectly.